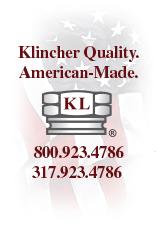 Dual Machine is excited to announce the launch of our new website, designed to provide more information, background and resources for all aspects of the business, from our Klincher products to our precision machined custom parts. This state of the art website is also designed to be viewed on all types and sizes of mobile devices. These changes will help our customers and prospects learn more about our company and capabilities, and make it easier for everyone to access that information.